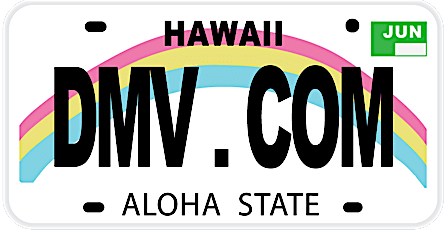 DMV.com was created to help simplify your life by providing you with all the vehicle related information and Hawaii DMV services you may need, in one place. Quickly find information and services regarding driving records, vehicle registration, drivers license renewal, license plate renewal, getting a learners permit, and finding a Hawaii Department of Motor Vehicles approved traffic school. A Hawaii drivers license is required by the DMV for any resident who wishes to drive. Learn more about HI drivers license services today. Order your Hawaii DMV driving record from the comfort of home. Requesting HI driving records online from the DMV is fast and convenient. Car insurance is required by the Hawaii DMV for all cars registered in the state. Compare auto insurance rates online quickly and easily. Completing Hawaii traffic school permits drivers to receive insurance discounts and other benefits. Learn about online traffic school in HI. Take a HI DMV practice exam to test your knowledge of the DMV drivers manual. Completing a DMV practice test can help you earn your license. The Hawaii DMV requires car registration for resident vehicle owners. Learn about online car registration renewal in HI and other services. Hawaii drivers education can help new drivers to earn a license through the DMV. Discover the benefits of online drivers ed in HI. A bill of sale acts as a receipt when you buy or sell a car. Find out how to obtain a Hawaii bill of sale form through the DMV. Find out how to fight speeding tickets and how to pay a ticket online in HI today. Drivers must respond to traffic tickets by the deadline. Getting a DUI in Hawaii involves serious consequences. Learn about HI DUI laws and how they can impact your DMV driving privileges. Purchase a vehicle online in Hawaii for the best car-buying experience. Buying a car online can make it easy to complete DMV registration. Certain DMV services in Hawaii may require you to make a DMV appointment. Find nearby HI DMV locations, and get their contact info here. Dmv.com is a privately owned website that has nothing to do with any government agency and helps you reach the information you need about HI DMV in no time. Depending on the type of vehicle, the Hawaii DMV has a different set of requirements. Our abundant set of articles will help you learn more about obtaining or renewing your driver’s license, choosing proper insurance for your vehicle and much more. We are here to spare you from waiting in line just to ask a question about your license – we give you the answer right away. Getting around DMV.com is very simple. At the top of the page you will find the “search” bar, and at the bottom the navigation sections – use either of them to find the desired info concerning the Hawaii DMV. Our step-by-step guidance will guide you through all processes connected with Hawaii DMV. We have already stored a great deal of useful facts about each state’s DMV and we want you to join us in making the site even better – visit our Facebook page, comment our articles and give us your suggestions.